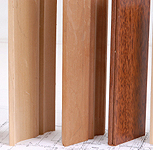 Welcome to Newood Moulding, where we carry a complete line of in-stock hardwood mouldings for doors, windows, hallways and closets. 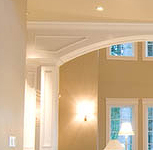 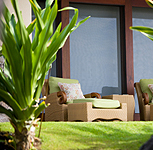 Our innovative moulding and trim will help you achieve professional decorator's results in much less time. 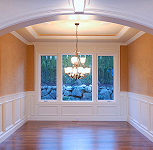 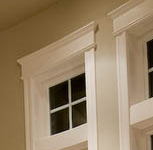 Our turn-of-the-century mouldings include one-piece architraves with optional 45° ends that mean no more job site build-ups, no alignment issues, and saved time on cutting, installation & finish. 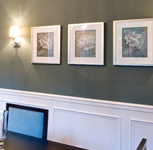 Pre-Painted Mouldings help you transform any room décor with ready-to-install, high quality mouldings, helping you achieve a designer look straight out of the magazine in a fraction of the time. 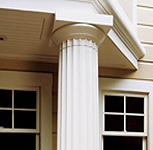 Flip Face™ crown features an ingenious reversible design. 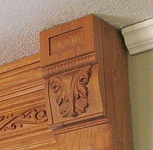 It's the one crown where you just lock your saw in place and forget about it. 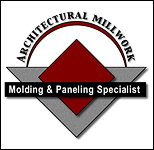 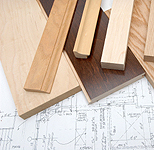 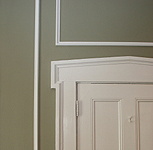 Mouldings available in Alder, Cherry, Maple, Red Oak, Mahogany, & MDF.